Judging by all the improvements they’ve made to the platform in the past few months (e.g. improved Amazon Wishlist functionality and testing a new Buy button), Twitter is hoping to increase its ad revenue and market share this holiday season. They’ve made it easier to shop and advertise on the platform. Now, the social media giant is giving small business owners tips and research to help them use the platform more effectively this year. The studies they use provide useful insights about who holiday Twitter shoppers are, what they want to hear from businesses, where they’re shopping and why they use Twitter throughout the season. Twitter has teamed up with research firm Millward Brown to explore the platform’s role in the shopping process. They surveyed 500 U.S. consumers who use Twitter at least once a month and are involved in holiday shopping. The research noted that more than half of consumers don’t follow the conventional wisdom of starting their holiday shopping on Black Friday. According to the data, four out of 10 consumers plan to start holiday shopping before Thanksgiving this year. On the other end of the spectrum, one in four shoppers don’t start shopping until December. Business owners can take advantage of this by having their holiday promotional calendar running all the way through November and December. This way, there will always be some special to catch the attention of people shopping at that time. People use Twitter differently during the holidays. People tweet about different things and they seek different things from brands on the platform. The study found that a third of consumers use tweets to ask for holiday shopping advice. Once consumers have bought something from a business, 62 percent who Tweet about the business will want to share a positive experience. 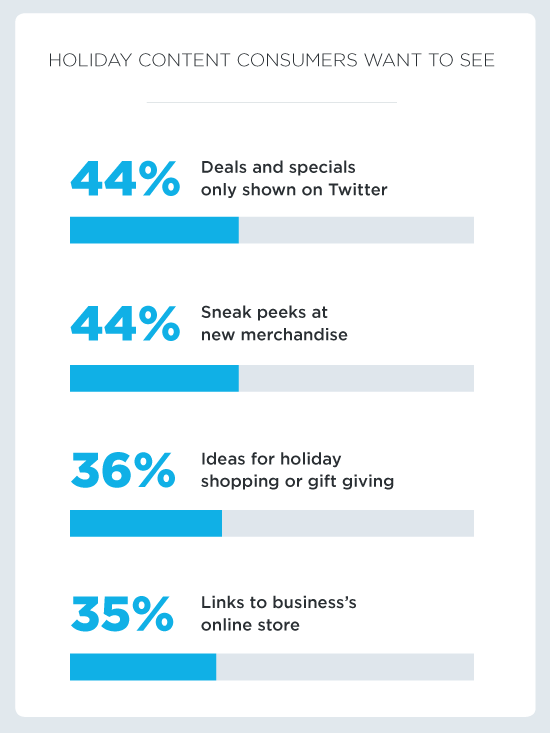 Similarly, 39 percent of consumers are likely to tweet about their holiday purchases. Each of these uses can help a brand reach new consumers by the positive testimonials from their fans. Another thing marketers should keep in mind is that Twitter is a good way to bring readers attention to popular viral campaigns they’re running. Twitter has also made it easier for search engines like Google and Bing to access 50,000 popular hashtag pages to be included in search results. Twitter has specific hashtag pages that populate with posts from popular tags. 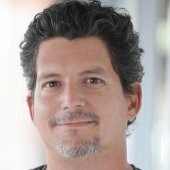 According to statements the company made at an analyst event, making this change increased the number of logged-out users coming to its site by 10-fold, apparently raising the number from 7.5 million per month to the current 75 million per month. Twitter has done much to improve the usefulness of the platform for small business marketers. This holiday season is the perfect time to put these new features to the test. The research from Twitter shows that the time to reach holiday shoppers is now. Read this article for the with tips on using the newest features on Twitter. And read this article for research that shows how Twitter generated more than $700 million in auto sales in 2013.